Recent Arrival! 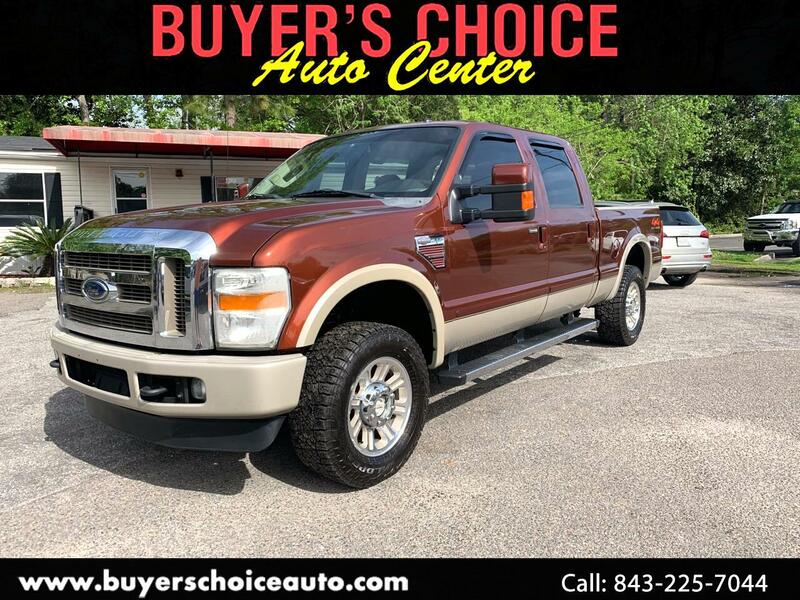 BACK UP CAMERA **, SUNROOF/ MOONROOF **, CLEAN CARFAX / NO ACCIDENTS REPORTED **, REMAINDER OF FACTORY WARRANTY **, FULLY DETAILED **, 4D Crew Cab, Power Stroke 6.4L V8 DI 32V OHV Twin Turbo Diesel, 4WD, 18" Painted Aluminum Wheels, 4x4 Off Road Package, 5" Chrome Tubular Cab Steps, ABS brakes, Accent Color Front Bumper, Accent Color Molded Cab Steps, Accent Color Rear Bumper w/Step Pad, Accent Color Wheel Lip Molding, Body Color Exterior Door Handles, Bodyside Molding, Chrome Exhaust Tip, Compass, Driver's Memory Package, Front dual zone A/C, Heated Seats, Illuminated entry, King Ranch Chrome Package, King Ranch Leather Front & Rear Consoles, King Ranch Package, Low tire pressure warning, Navigation System, Power Sliding Rear Window, PowerScope Power Folding Trailer Tow Mirrors, Remote keyless entry, Unique Chrome Mirror Caps, Unique King Ranch Leather Quad Captain's Chairs. Dark Copper Clearcoat Metallic 2008 Ford F-250SD King Ranch 4WD TorqShift 5-Speed Automatic with Overdrive Power Stroke 6.4L V8 DI 32V OHV Twin Turbo Diesel Awards: * 2008 KBB.com Brand Image Awards Buyer's Choice Auto Center is family owned and operated pre owned car dealership located in the heart of Summerville, SC. We have been in business for over 15 years this April. Larry McLain and his wife Laura do it all here at Buyer's Choice. Buyer's Choice specializes in rare late model Land Cruisers, and Land Rovers. We also carry a great selection of pre owned vehicles, and we price them very aggressively. Most of our vehicles are sold at or under trade in value. That is because Larry does all the buying at auctions himself. Please feel free to contact us or stop by the dealership anytime to check out our amazing inventory. We have some of the most unique inventory in the Charleston area!!!! Be sure to visit our virtual showroom of inventory available for purchase. There you will see detailed information about each vehicle, a picture gallery, as well as convenient ways to contact us for more information about that vehicle. We are located at 902 N Main St and are available by phone at 843-225-7044 . You can also get driving directions and hours of service from our user friendly website https://www.buyerschoiceauto.com/ .